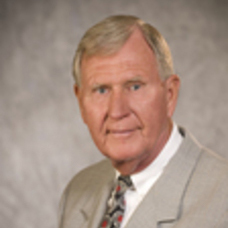 Lloyd Sauter has been active in Las Vegas commercial real estate for over 45 years. He arrived in Las Vegas in 1970 to assume control of the management and leasing of The Boulevard regional enclosed mall. In 1975, he was a founder of the Realty Holdings Group and guided the company to become one of Nevada’s largest full service brokerage and property management companies. Upon the sale of his interest in Realty Holdings Group, Sauter founded The Sauter Companies, a boutique real estate investment firm specializing in the brokerage of apartments, shopping centers and office buildings. Sauter is a past state director of the International Council of Shopping Centers (ICSC) and holds a certified shopping center management designation from the council. Lloyd is active in community affairs and has served on the board of directors for the Boy Scouts of America, the YMCA, Opportunity Village, and the original Nevada Development Authority.